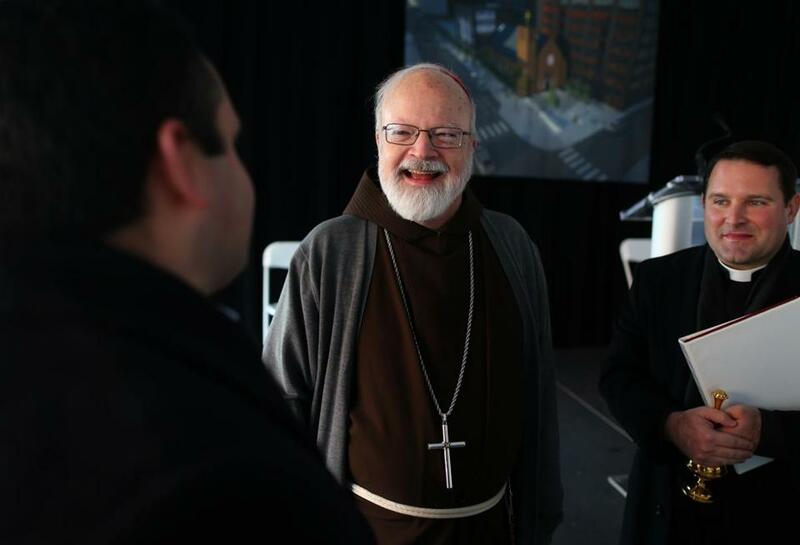 Cardinal Sean Patrick O&apos;Malley was all smiles Friday during groundbreaking ceremonies for a new Our Lady of The Good Voyage Chapel to be built on Seaport Boulevard in the Seaport District. A rendering of the new Our Lady of Good Voyage, to be constructed at 51 Seaport Boulevard, near Fort Point Channel. These days, it is much more common to see a church closing than a new one opening its doors. But on Friday the Archdiocese of Boston formally began construction of a new chapel in the rapidly developing Seaport District, where young, hip workers will have a new sanctuary to serve their spiritual needs. 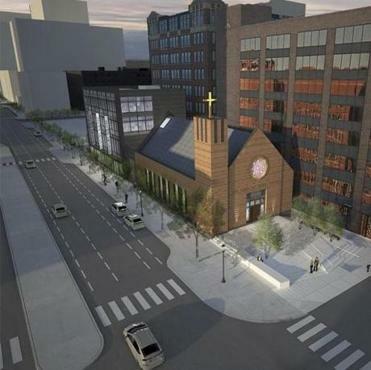 The 5,000-square-foot chapel will be the new home of the Our Lady of Good Voyage, which is moving from its present location on nearby Northern Avenue. The chapel, to be completed late next year, will be capped by a new steeple and feature a traditional basilica layout with a choir loft. Founded in 1952, the chapel for decades served the seaport’s dockworkers and sailors. Its first mass was attended by 200 parishioners.